When beauty editors say something is "the best," don't take it lightly. Considering the massive piles of product on our desks and storage bins buried underneath the beds in our apartments that have basically turned into a Sephora (tough life, we know), we've tried a lot of hair products. Some are meh and some are amazing. It's our job to meet with hair brands, celebrity stylists, and get treated to top-notch styling sessions to test out the latest and greatest hair products and treatments. Some pass our tests with flying colors, while others don't quite make the cut. In short, not all hair products are created equal. With texture, color, and preferences in mind, Byrdie editors have done the unthinkable and chosen the best hair products of 2018. This was not easy. Although we're tough critics, we have a beloved arsenal of haircare that we cherish, so picking just a few for this ultimate list felt like a hard game. Some of these shampoos are as inexpensive as $4, which goes to show that price tags mean absolutely nothing these days. Ahead are the very best hair products of 2018, according to Team Byrdie. "I dyed my hair platinum a few weeks ago and have been slowly testing every purple-hued product under the sun. 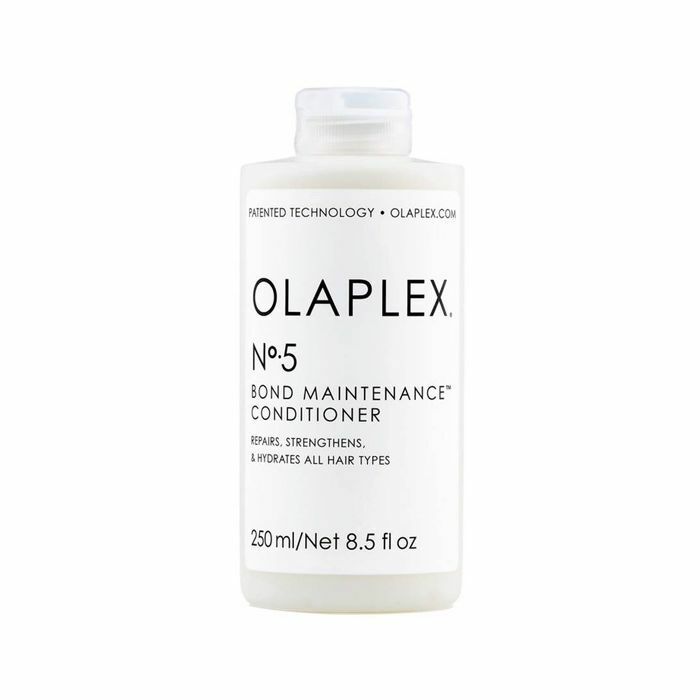 This conditioner was recommended by my colorist, and I couldn't believe how well it worked. Not only did it tone my hair instantly to a silvery hue, but unlike purple shampoos (which can be drying), this mask actually conditioned my hair and left it feeling hydrated." 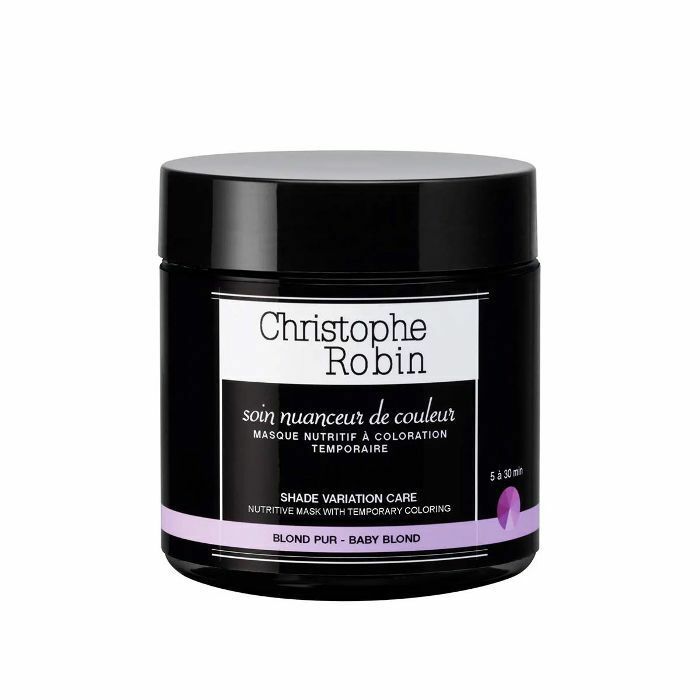 "My strands are dry at the ends, and I'm long overdue for a haircut, so until I can get to the hair salon, I've been trying every reparative hair mask on the market. 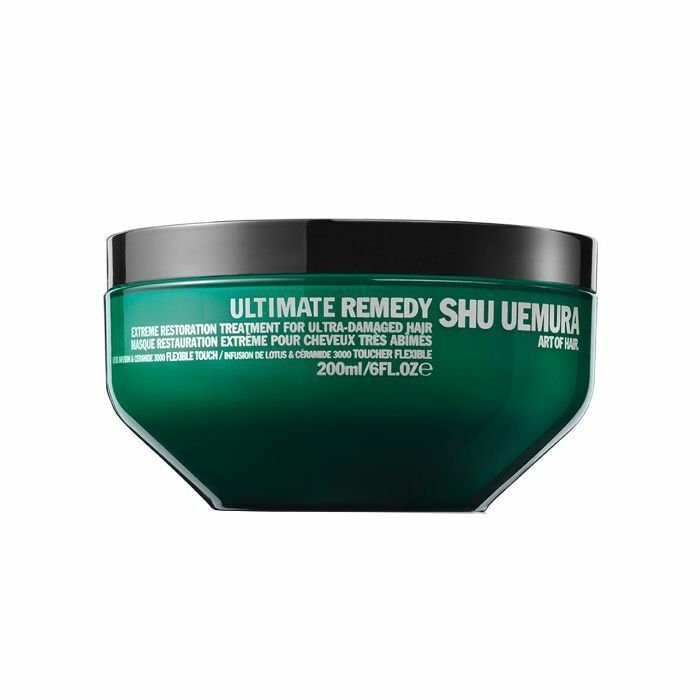 This one from Shu Uemura blew me away because when I looked in the mirror after air-drying, my strands had magically air-dried into perfect, bendy waves on their own. I usually air-dry my hair 60% and then put it in a low braid, but that wasn't necessary after using this mask. Every time I use it, my hair looks perfectly wavy and feels soft as silk. "I have a naturally oily scalp and dry ends, which means that I try to avoid shampooing more than two times a week. Sometimes, whether it's because of an especially sweaty NY subway ride or hot yoga, I'll still want to wet my hair to revive it and make it smell fresh. On those days, I've been using this gentle shampoo, which really isn't a shampoo at all but more of a botanical foam. I apply it only to my scalp and gently massage it in, and my hair looks and feels fresher afterward, without drying out my scalp." "I recently visited the incredible upstate NY farmhouse of Brent and Josh, the founders of Beekman 1802 products, a line built on goat's milk, as well as their giant goat farm. I'm a sucker for a country atmosphere (and goats), so the products could've done nothing for me, and I still would've been intrigued by the brand. (Plus, Josh and Brent have the craziest story: They both worked in media in Manhattan, bought said farmhouse, got laid off in the recession, learned how to make goat-milk soap to get by, had a reality show made about them, went on The Amazing Race and won, and built a huge beauty and lifestyle brand. "After testing out a number of their products, I can confirm that they're not only a fascinating couple with an insanely cool life but also that their brand is high-quality too. One of my favorites is the ACV rinse. 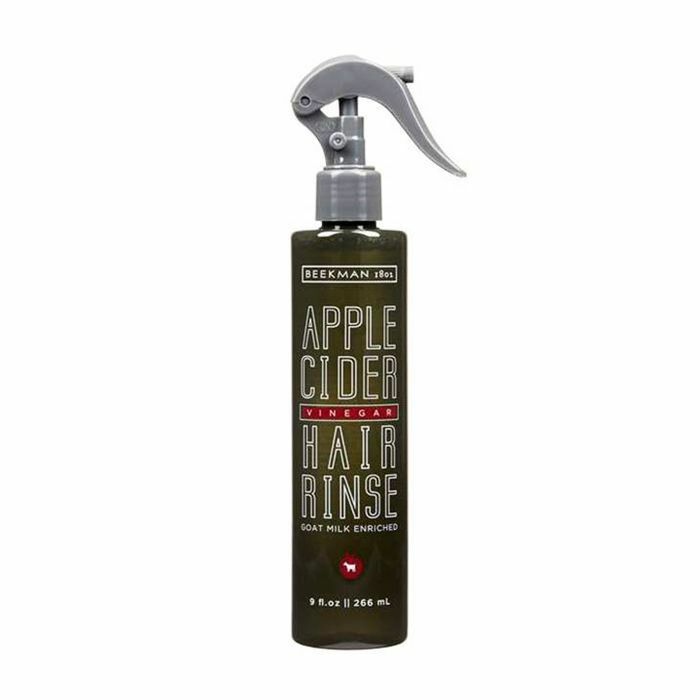 It's got a super-potent smell (apple cider vinegar and goat's milk, you do the math), but it left my hair feeling super clean and soft afterward. It also has a nice lather to it, so I actually feel like I'm shampooing my hair rather than just running a rinse through it. My hair was also much less greasy the next day than it usually is, which I count as a huge win. I use it once a week to clarify my hair and rid it of the product buildup I put it through every day. It's amazing." "Dry shampoo mist sounds a bit counterintuitive. When I'm looking for a dry shampoo, I want something as dry as the Sahara desert to sop up the grease. 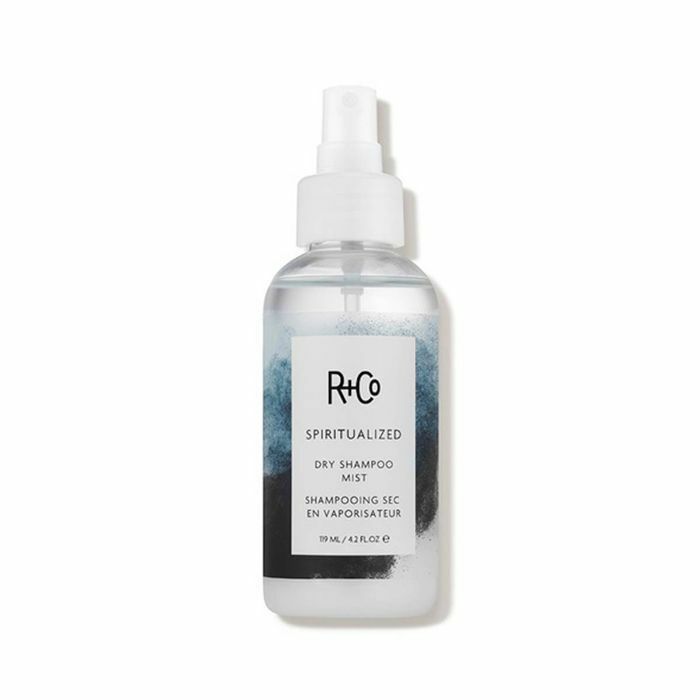 However, this formula is micellar-based (meaning tiny little micelles eat away at impurities) and gives your scalp a deep cleanse with just a few spritzes. After applying, let it sit unbothered for about 30 seconds before massaging it in, and after it dries, you'll have noticeably less greasy and more voluminous and texturized hair. It's as if a salt spray and a dry shampoo had a baby." "I'm always looking for a few very specific things when it comes to hair products. First, will it weight my hair down? I have super-fine strands, and I'm constantly plagued by really great, nourishing products that also make my hair fall flat. Then, will it keep my curly hair properly moisturized? Yes, I know, this is kind of a catch-22 when it comes to the formulation. How can something be both light and hydrating? Well, Playa figured it out, folks. The practically weightless natural blend of coconut, apricot, and sunflower restores moisture to my dry curls without sacrificing any of the lift. 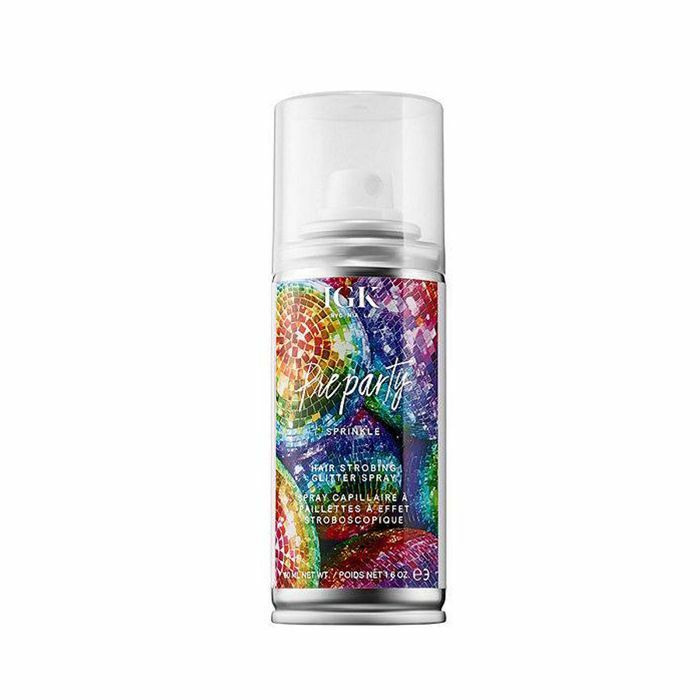 It deeply penetrates, strengthens damaged strands, and offers a summery scent with notes of coconut, sandalwood, and orange blossom." "I have super-fine hair, and while I usually wear it air-dried and curly, there a few times a month I'll want to blow it out. That's where this thickening spray comes in. 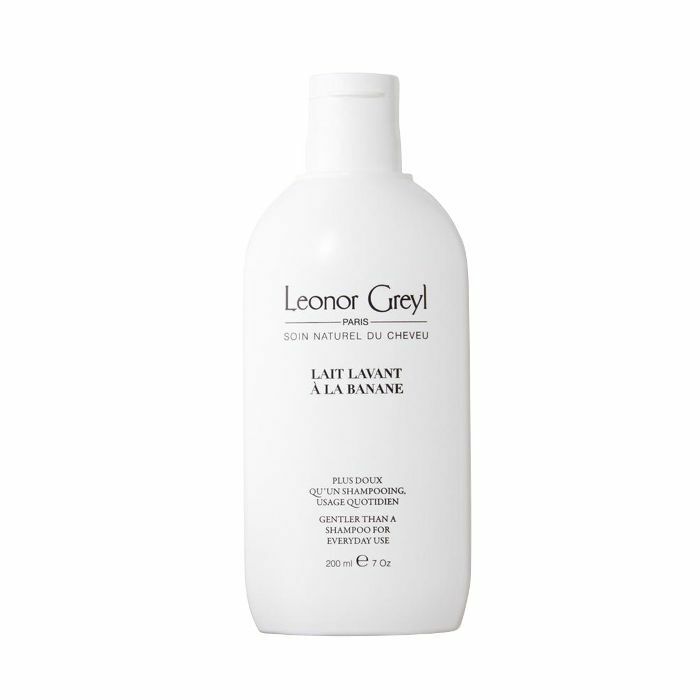 It's dry, so it works a bit like dry shampoo in that it adds volume without wetting or weighing down your hair. Raw silk powders adhere to your hair to infuse airy texture and full, volumized strands. It lifts my often droopy roots and adds plumped up, messy texture goodness whenever I need a boost." 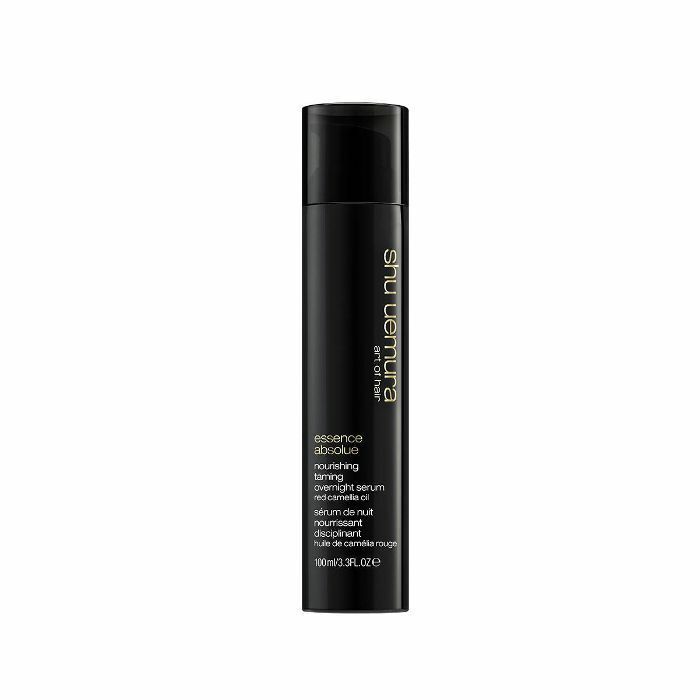 "I've been a devotee of Shu Uemura's Essence Absolue Nourishing Protective Oil for almost a decade, so naturally, when the brand launched a new iteration of my favorite formula, I had to jump on board. The difference is the overnight serum is a bit thicker and meant to repair damage rather than help style your hair (like the original oil). All I do is apply a few pumps to my dry ends before bedtime and wake up to hydrated, nourished, and happy ends." "Sisley's new line of hair products is simply divine, and I'm freshly obsessed with its scalp serum, a product rich in plant-based extracts and proteins for maximum scalp and hair health. Apply to scalp before shampooing, let it sit for 20 minutes or an hour if you can, and rinse, and I swear your head will never feel healthier." "Crunchy, color-damaged hair is my cross to bear as a classic bleach blonde, so I am always in search of the best damage-reducing oils, masks, and serums to turn my strands as shiny and healthy as virgin hair. 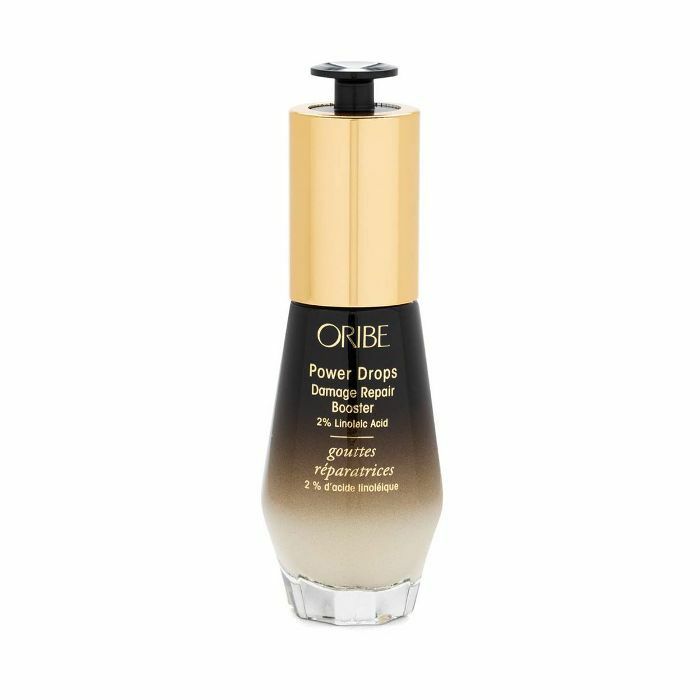 Oribe's Power Drops are my latest obsession. 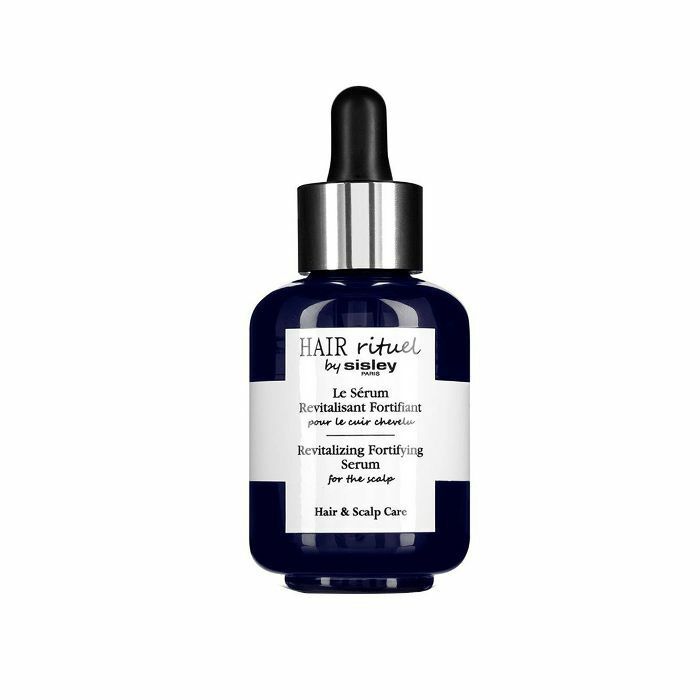 The 2% linoleic acid (a fatty acid) in the oil-based formula strengthens hair from the inside out, while biotin, antioxidant-rich sea kelp extract, and other nutrient-packed plant derivatives are exactly the ingredients my hair needs. I apply a couple drops to damp hair before blow-drying, and my hair is consistently and noticeably softer." "Immediately, this mist deposited a beautiful, super-subtle layer of rainbow—more a fine shimmer than a chunky glitter—that made my hair glisten in the sun. A few more spritzes upped the effect, though it never looked over-the-top. My brunette co-worker, Alison, who had an important presentation the evening of this test, was nervous the product would make her hair like a disco ball, but it was so understated and pretty that from far away, it just looked like her hair was extra shiny. Photogenic or not, I loved how this product looked in person and can absolutely see myself using it to top off any style (even a daytime one) when my hair needs a little boost of shine." 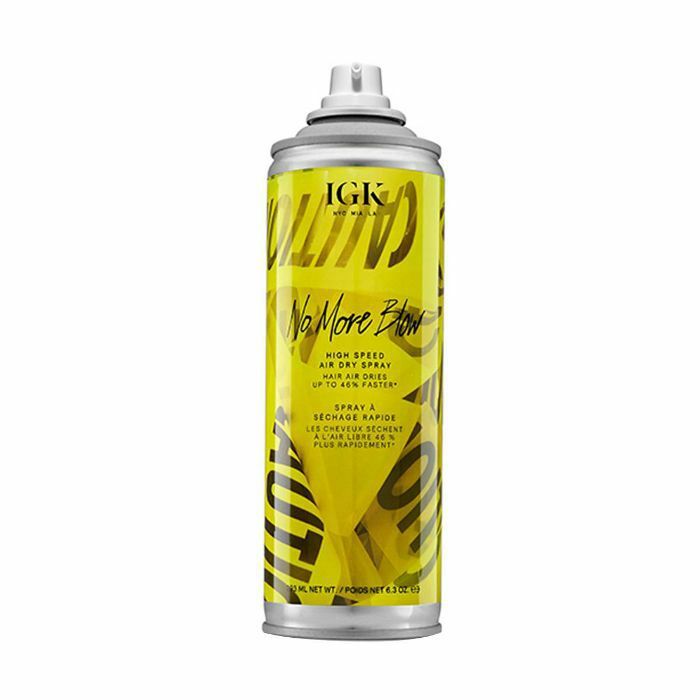 "Aside from the fact I always love IGK's edgy packaging and cheeky product names, I'm also thankful to the brand for always delivering when it comes to its claims and results. For instance, this brand-new spray claims to speed up your air-dry time by 46%, and after my initial (and admittedly skeptical) first test-drive, I was surprised to find it did just that. I also just appreciate the fact that it literally doesn't feel like I have any kind of product in my hair post-application, and it seems to enhance shine and my hair's natural baby waves. 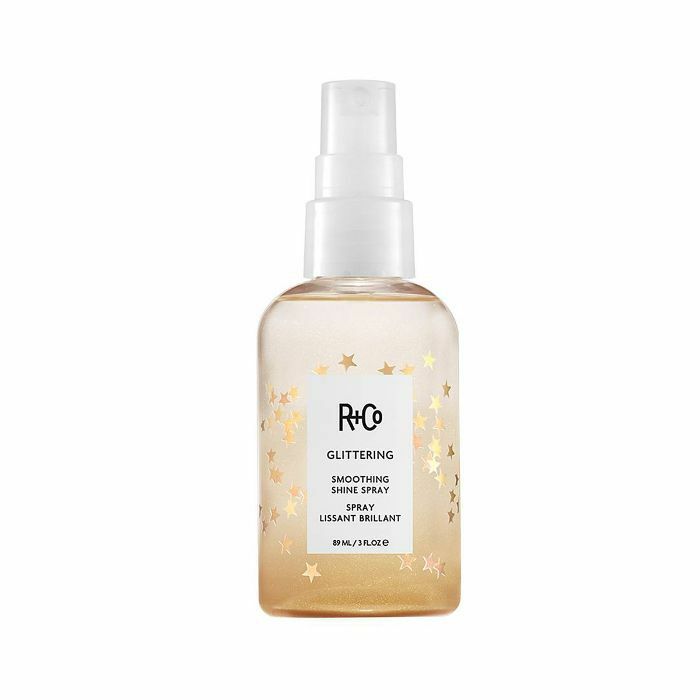 "Despite the flashy packaging and title, I'm in love with how subtle this new shine spray from R+Co is. 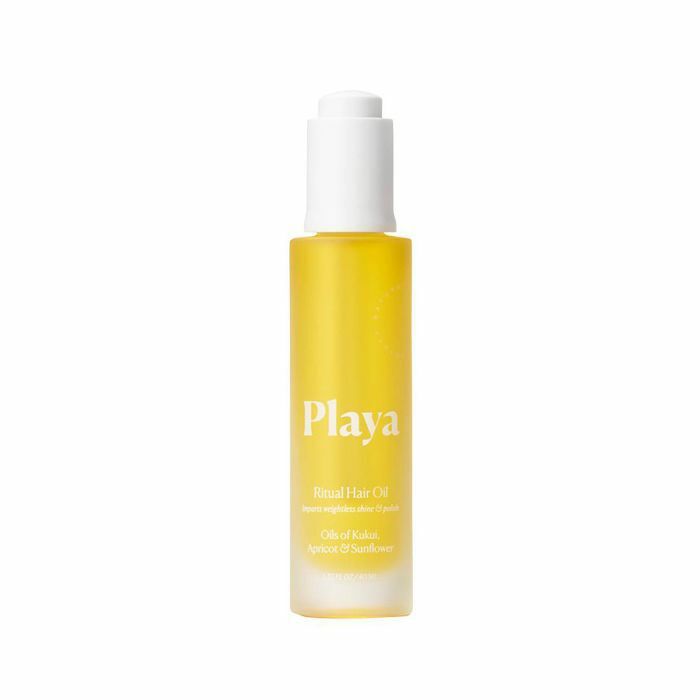 It's packed with hair-transforming oils and ingredients like baobab, prickly bear, sea buckthorn, and bergamot—a miraculous, featherweight melding that leaves hair gleaming (but in a really natural, light-catching way) while amply hydrated. I've been spritzing it on my (and my friends') ends before going out, and it keeps our strands soft and glossy and just a touch shimmering. And even though the folks at R+Co might not approve, it also looks amazing if you spritz it on your décolletage." "My favorite features have to be the volume booster switch (which my super-fine strands crave) and the auto-pause sensor (which makes self-procured blowouts about a million times easier). I've been most impressed with how much less damage the dryer has imparted on my hair compared to others. Though I typically wash my hair twice a week and do my best to let it air-dry at least one out of the two times, that strategy, combined with the protective technology of the Cura Luxe, seems to have significantly improved the integrity of my hair. And since the dryer on its own delivers mass amounts of shine, volume, and movement, I've also found myself less reliant on styling products (a win for my bank account and my overall distaste for layering my hair with formulas). 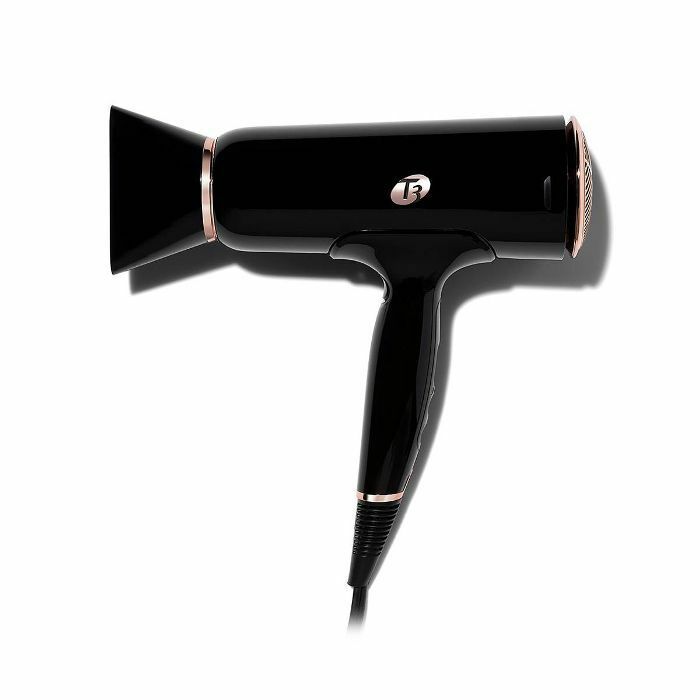 So although up until recently had a personal grudge against all pricey hair dryers, my tail is officially between my legs thanks to T3's newest innovation." "With my super-blonde hair, I've learned to be wary of overdoing it on purple shampoo (I'm personally allergic to ashy) and have actually found clarifying and prevention-based formulas to be in my hair's better interest. This brand-new cleansing-and-conditioning duo from Kenra truly blows away the competition. Infused with activated charcoal and—get this—diamond dust, the launch's mission is to protect against daily aggressors like pollutants (hello, L.A. smog) and draw out the inevitable impurities and damage that will eventually occur. Both bottles have kept my color bright and sparkly, and the texture feels clean, voluminous, and bouncy. (Now I'm just waiting for the offer of a hair commercial—kidding. Kind of.)" For the first time ever, I got my natural hair professionally styled by the amazingly talented DevaCurl team, and let me tell you, it was all that I could ever wish for and more. For a long time, I only wore extensions and braids. A few years ago, I made a promise to myself to embrace my natural hair more, and it's been one of the best decisions I've ever made. I've never seen my curls look more lustrous and defined after lathering this styling cream from the root to the tip of my hair. 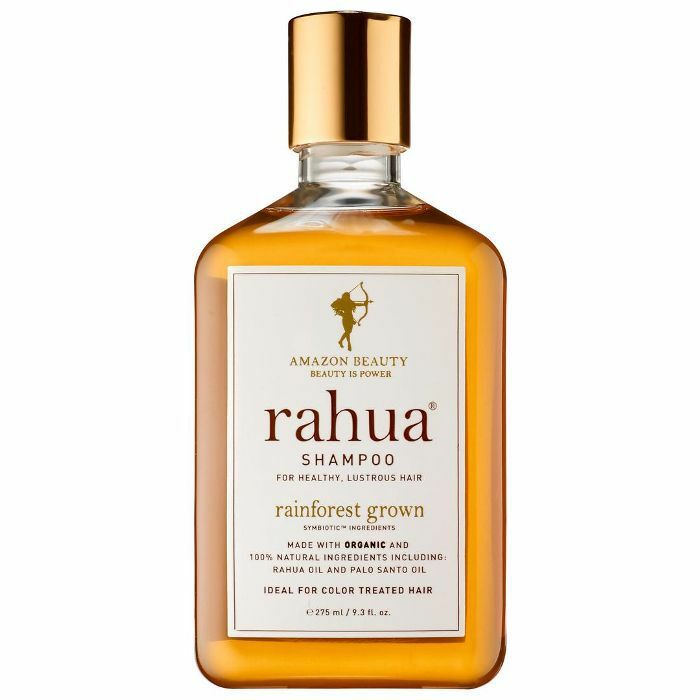 It's full of coconut extracts, which are super moisturizing, yet doesn't weigh my curls down. I love my ringlets post-application, and at one point, I'd never thought I'd feel that way about my curls, so this is progress! When I was introduced to the Pantene Gold Series line last year, before even falling in love with the products, I fell in love with the story behind the brand. 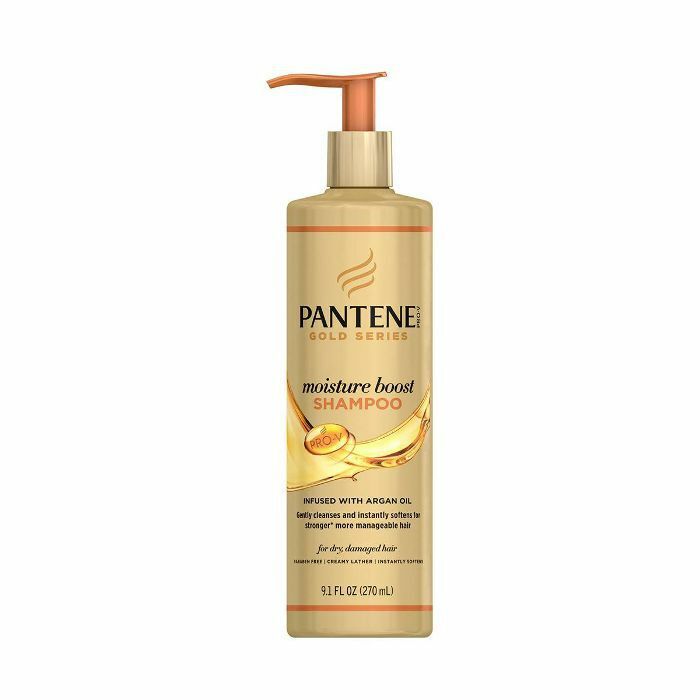 Pantene Gold Series is a line of products made for women with textured hair. The formulas in the collection were created by 11 black Ph.D. scientists, over 40 hairstylists, and a dermatologist. They visited over four countries, including Nigeria and Brazil, to test each product on over 3000 women with textured hair. I appreciated the fact that a mass drugstore brand went the extra mile to create a collection that crafted for women of color, by women of color. This shampoo is paraben-free and infused with argan oil, so my hair immediately feels refreshed. It's lightweight enough so it doesn't leave my strands feeling too oily or heavy but thoroughly moisturized. 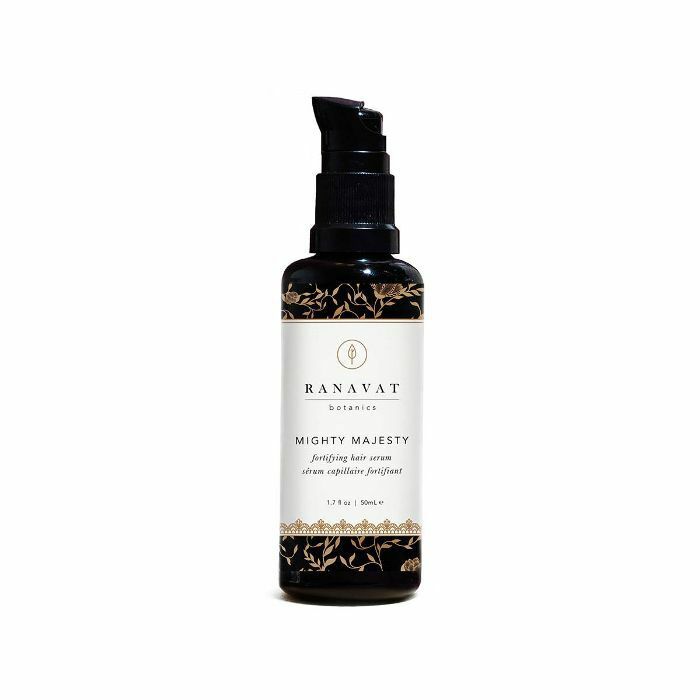 I took a deskside with the lovely founder of all-natural line Ranavat Botanics, Michelle Ranavat. I've been a fan of her gorgeously packaged products for a while but had yet to give this mighty hair serum a try. During our meeting, I pumped a tiny bit out onto my hands and was immediately entranced by its heavenly smell. It smells like fresh jasmine in a garden. I slathered a bit onto the ends of my hair, which left a weightless shine. It's made of botanical ingredients, so it's just as safe to use on your body. I'm equally obsessed with body oils, so this double-duty formulation is a winner in my book. Next: Here's how to grow your natural hair fast, according to a stylist.